Diseases of our nervous system can be difficult to understand and challenging to live with. The body’s nervous system is made up of the brain, spinal cord, and peripheral nerves. Neurosurgeons provide care for a range of disorders of these organs. To our good fortune, we have seen dramatic growth in our understanding of the nervous system and its diseases, as well as science fiction-like technological advancements available to the specialists who treat nervous system problems. This may be most true in the subspecialty of functional neurosurgery. What is “functional” neurosurgery? 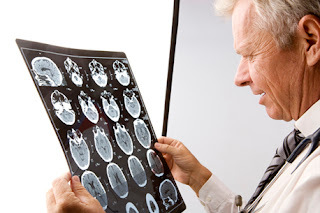 Just as it sounds, functional neurosurgery is a super-specialized field which treats degenerative and idiopathic (i.e. without known cause) nervous system diseases which compromise an individual’s everyday function. This generally includes movement disorders, pain syndromes, and epilepsy. As a group, functional disorders have been traditionally challenging to treat. Those who suffer with them are usually under the care of a neurologist who is familiar with the patient, the history of their illness, and their treatments. A neurosurgeon with modern functional expertise can play an important role in helping make neurologists’ treatments more efficient and effective. Deep brain stimulation (DBS) gets the most attention of any current technique in functional neurosurgery. This therapy, where deep brain structures are electrically stimulated, has made significant impact particularly on the treatment of movement disorders. Movement disorders are neurological diseases which are characterized by the presence of abnormal movement or muscle tone, absence of normal movement, or combination of the two. The most well-known movement disorder is Parkinson’s Disease, but other noteworthy disorders include essential tremor, dystonia, spasticity, and chorea. Those with Parkinson’s Disease suffer from rigidity of their limbs, tremor, and a difficulty and slowness with normal movements. Contemporary medications can dramatically reduce these symptoms, but over time these drugs begin to lose efficacy and come with side effects. DBS is now proven as an effective procedure for reducing symptoms of Parkinson’s Disease and essential tremor, and potentially lowering the amount of medication needed to treat both disorders. DBS is a minimally-invasive surgery usually performed with the patient awake under light sedation. The surgeon uses a computerized guidance system and high-resolution MRI to implant small electrodes into the deep brain target with sub-millimeter accuracy. The patient recovers from surgery quickly and usually goes home from the hospital the day after the procedure. The functional neurosurgeon also treats pain syndromes, including trigeminal neuralgia, cancer pain, and chronic low back and leg pain. Various functional procedures may be helpful for these patients. For example, trigeminal neuralgia is a facial pain syndrome caused by abnormal activity of the trigeminal nerve (the nerve that transmits sensation from the face). This can be a disabling problem, which in its most severe form can make even eating and talking very painful. Neurologists offer medications that may significantly reduce the frequency and severity of pain attacks. When pain continues despite medicines, a neurosurgeon with functional expertise may suggest surgical microvascular decompression of the nerve, stereotactic radiosurgery to the nerve, or targeted injections of substances designed to quiet nerve activity. Stereotactic radiosurgery is a non-invasive procedure in which the neurosurgeon uses computer guidance to deliver highly focused beams of radiation. The decision as to which treatment is best for trigeminal neuralgia is complicated and done on an individual basis. This decision should be undertaken with a neurosurgeon experienced with the disease and all forms of therapy. Current functional neurosurgery makes a significant impact on the lives of those who suffer with these chronic, debilitating conditions. Research is rapidly improving our knowledge of brain function, our understanding of these and other complicated neurological diseases, and advancing avenues of treatment, such as: gene and molecular therapy. With that in mind, the future of functional neurosurgery is extraordinarily bright.